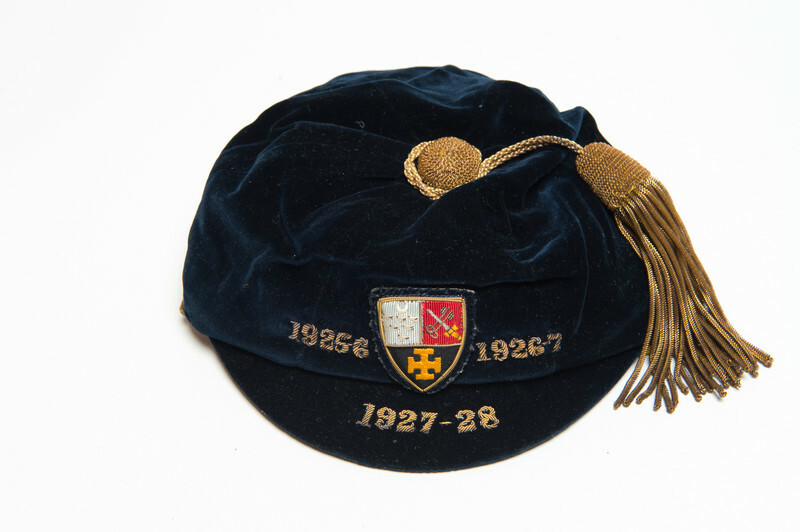 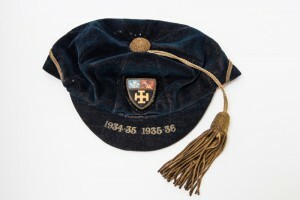 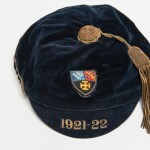 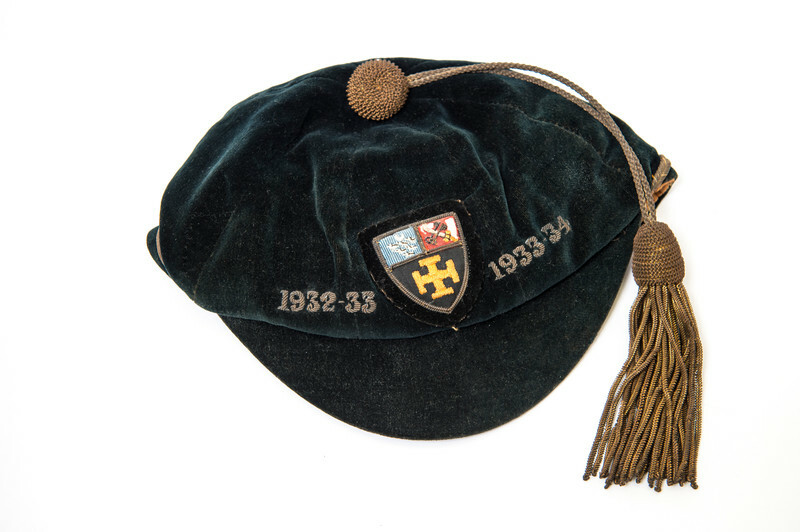 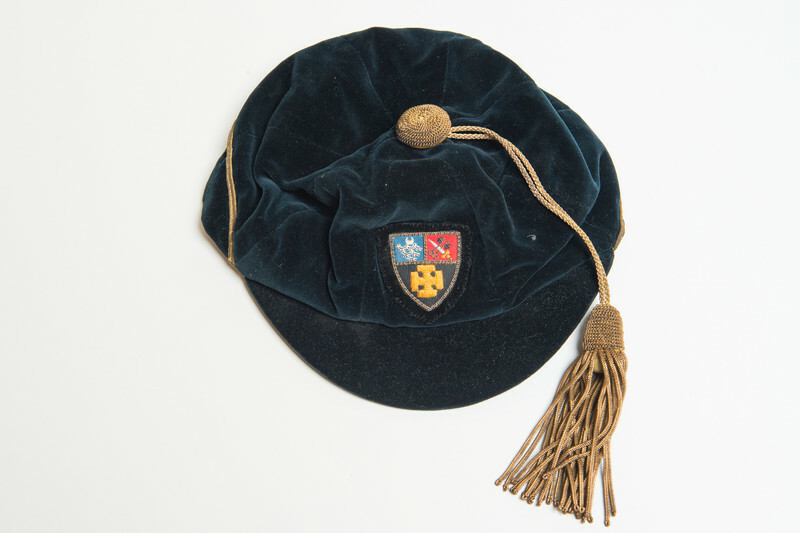 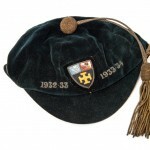 Being awarded a colours cap was the height of sporting success and also made a considerable difference to a boy’s social standing in the School. 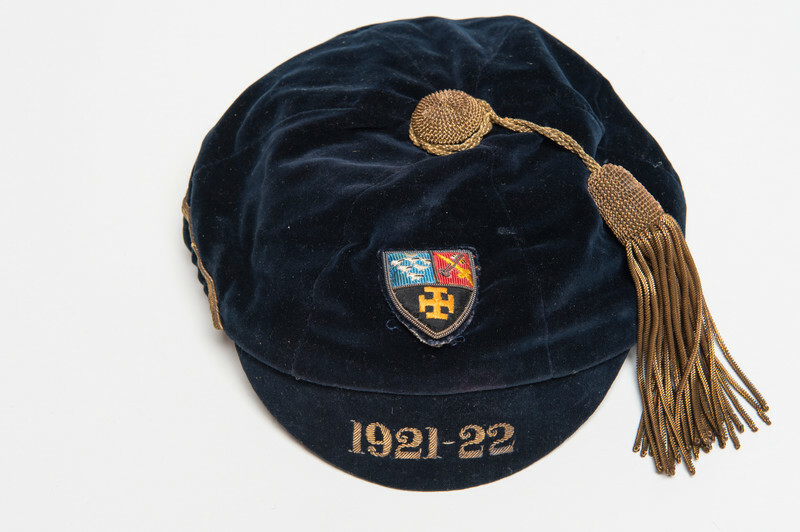 Cricket colours were awarded outside the pavilion, first on the Common and subsequently on Jubilee, while those for other sports were presented on the steps of the Quad in front of the whole school. 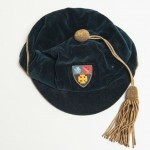 Between the wars, boys were presented with a velvet honours cap. 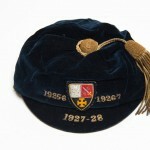 The sport and the year were sewn on in gold braid on the front.